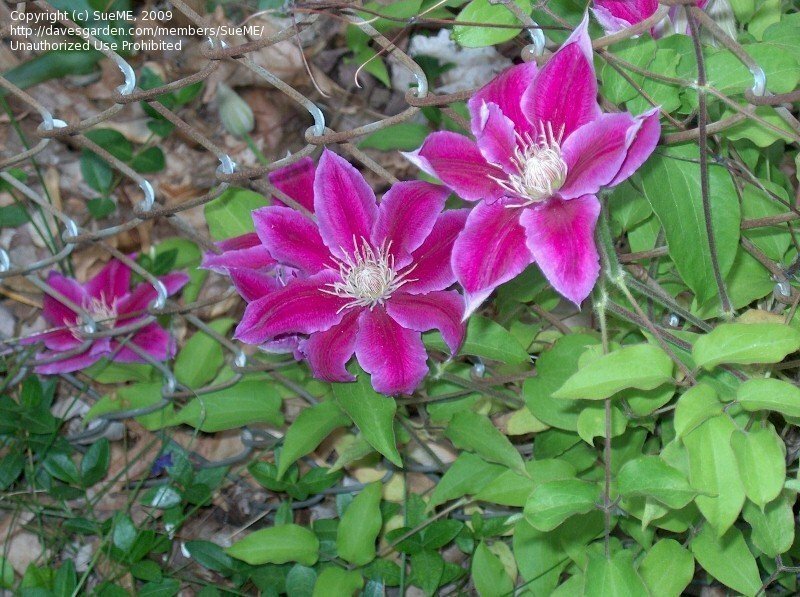 Dr Ruppel clematis growing in my rose garden. 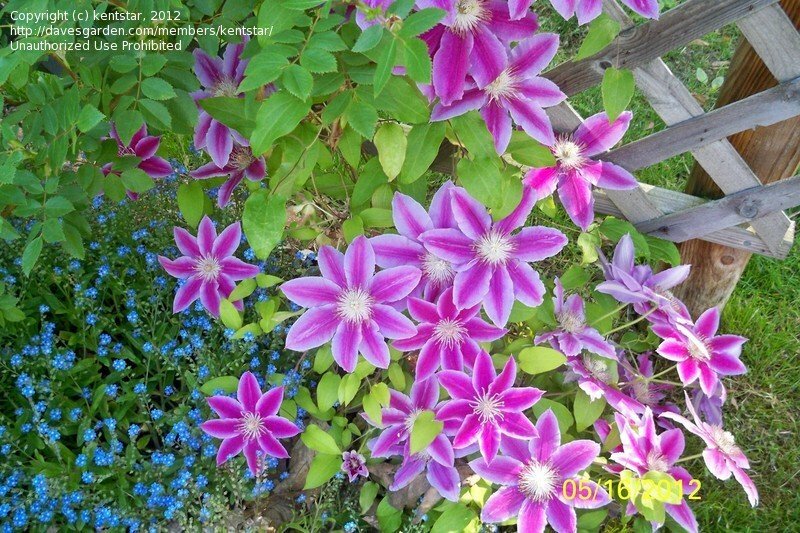 Those are blue Forget-me-nots next to the Dr! 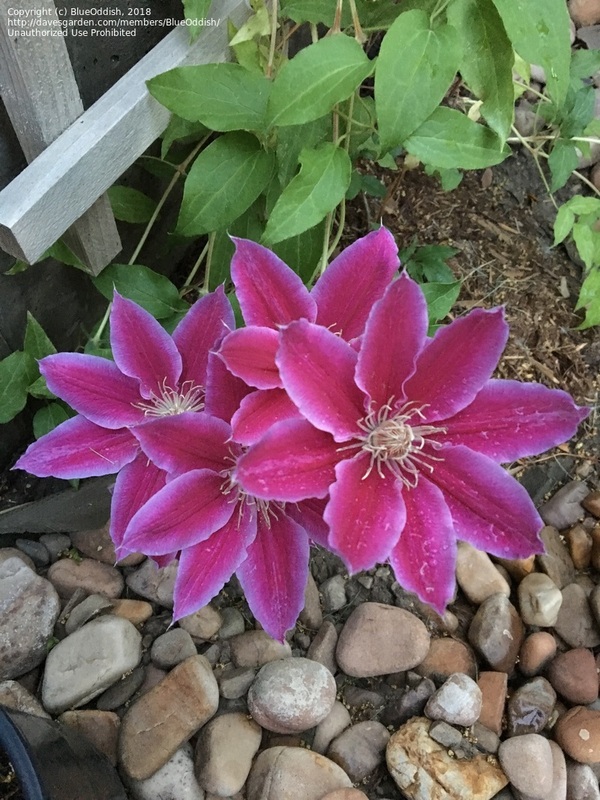 Seems to bloom from the ground up for me. 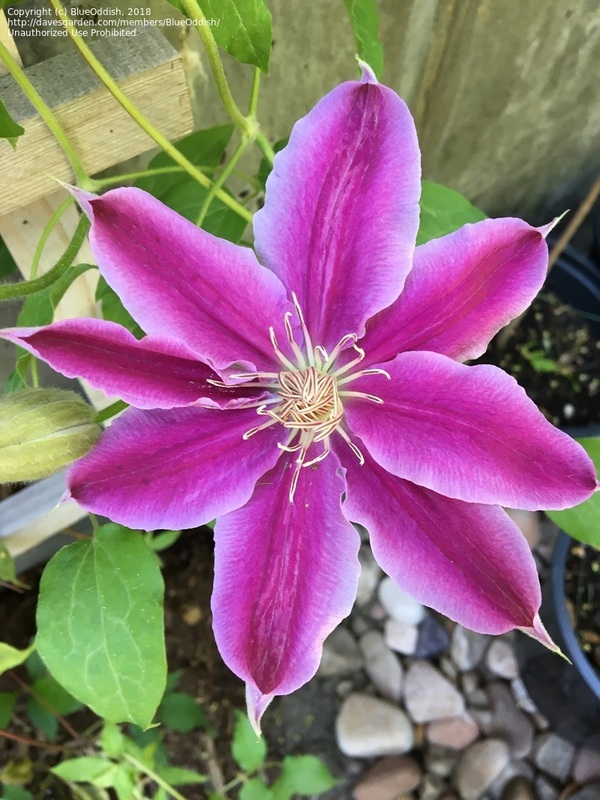 Loads of big blooms though! 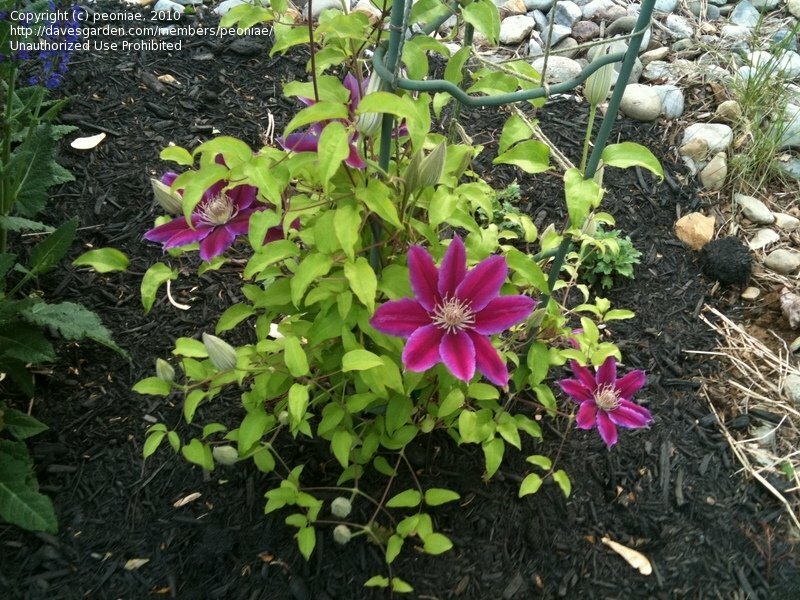 NE Ohio zone 5b. 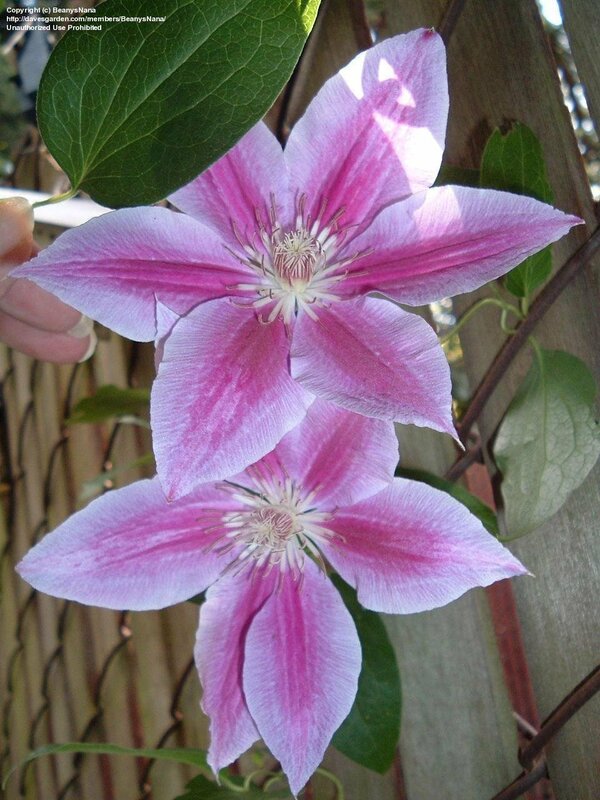 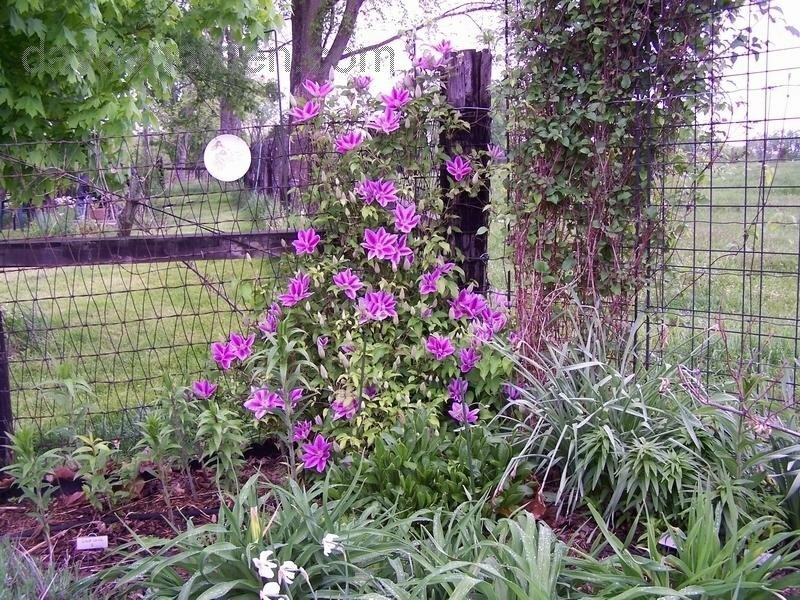 This Clematis grows great for me. 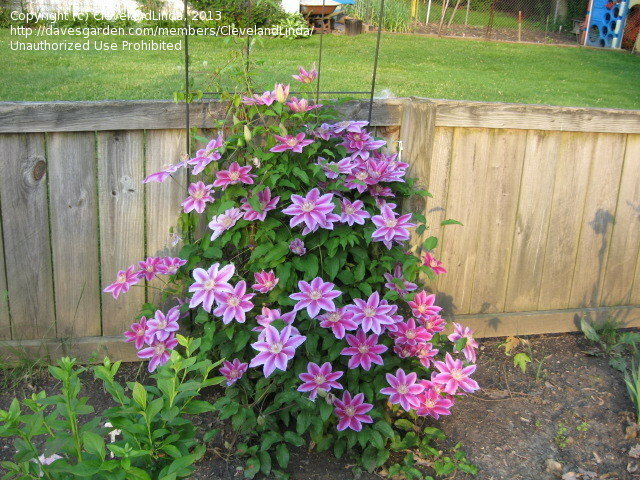 Requires little care, winters well. 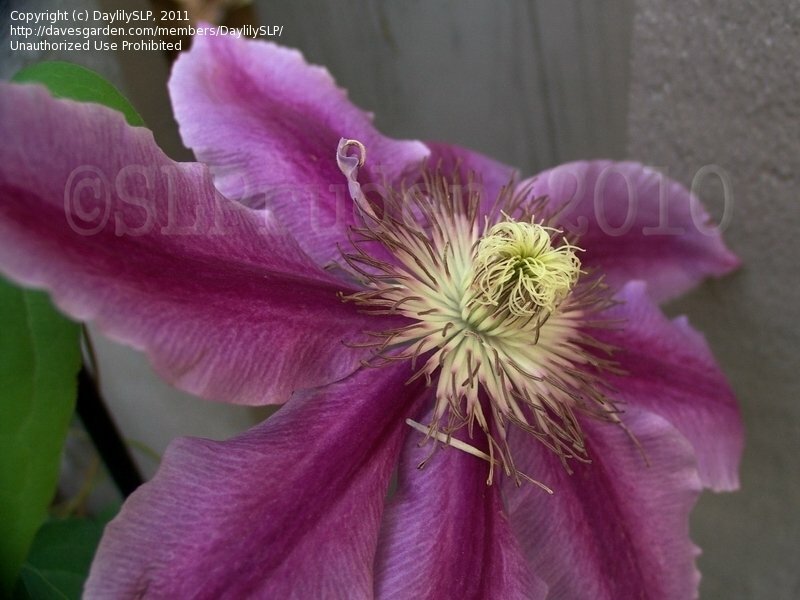 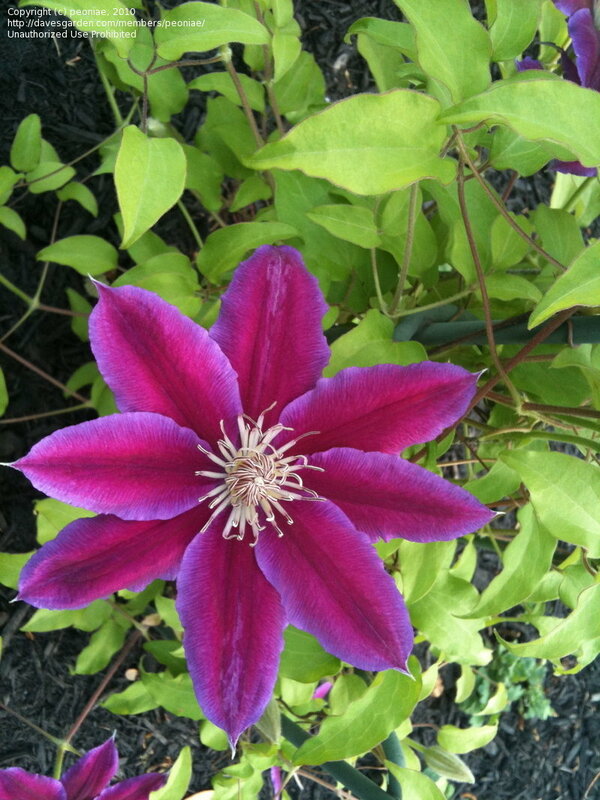 First bloom om my very young Clematis 'Dr. 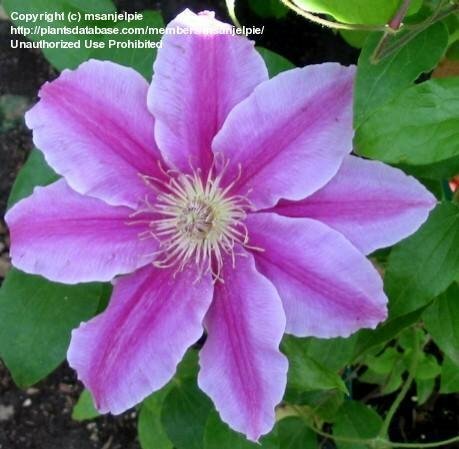 Ruppel'. 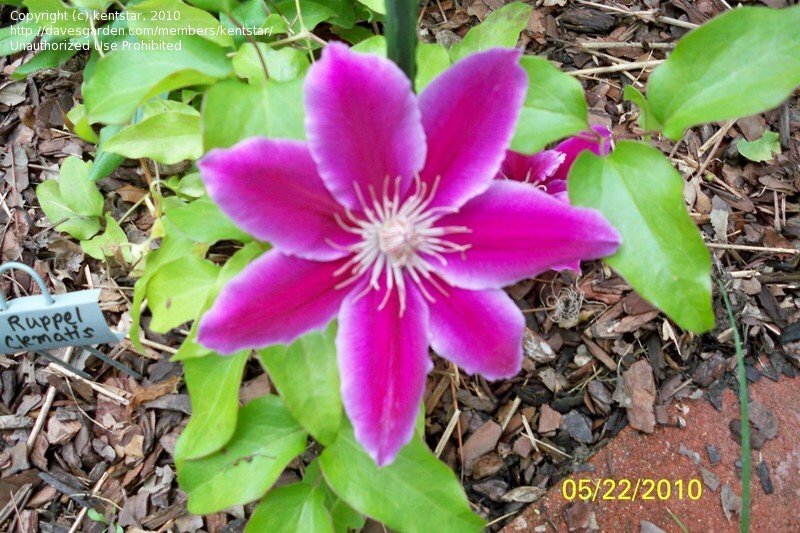 It is planted behind my tropical hibiscus 'Snow Queen' and its bloom colors will compliment the varieagted foliage of the hibiscus. 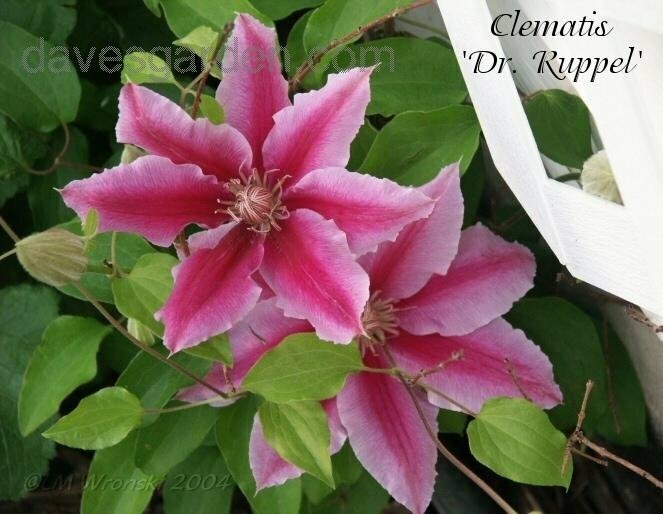 My crazy Dr. Ruppel! 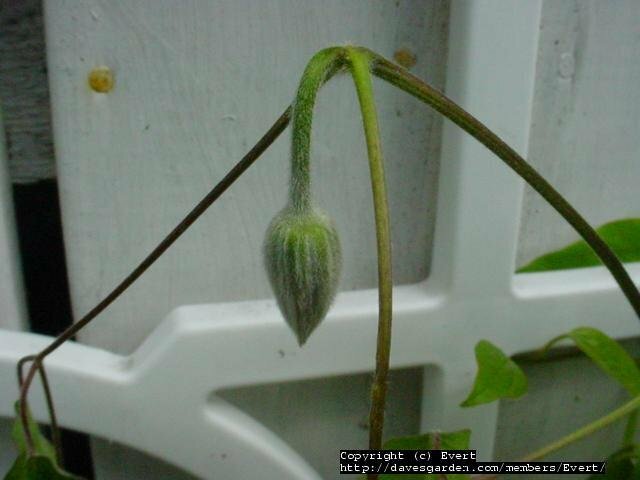 It still has many buds to open. 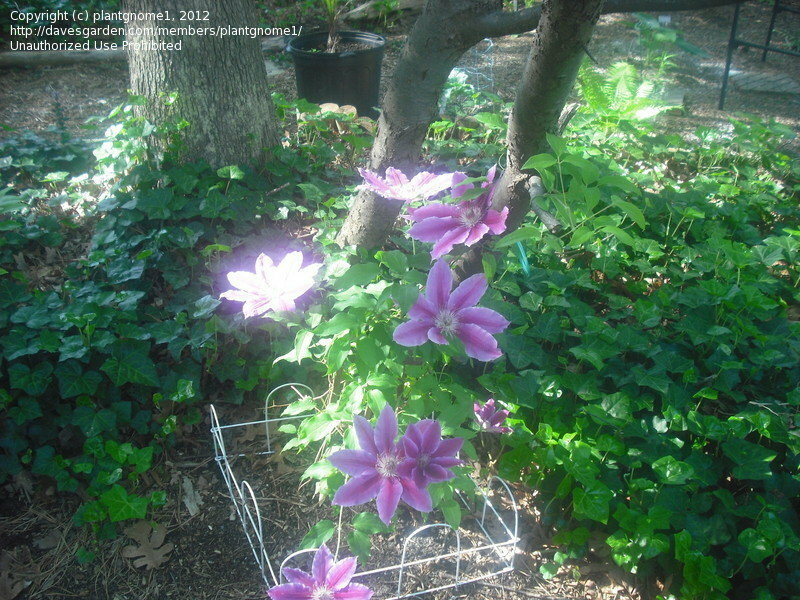 this vine flowered profusely this year 2007 and prefers to lay low and not climb well! 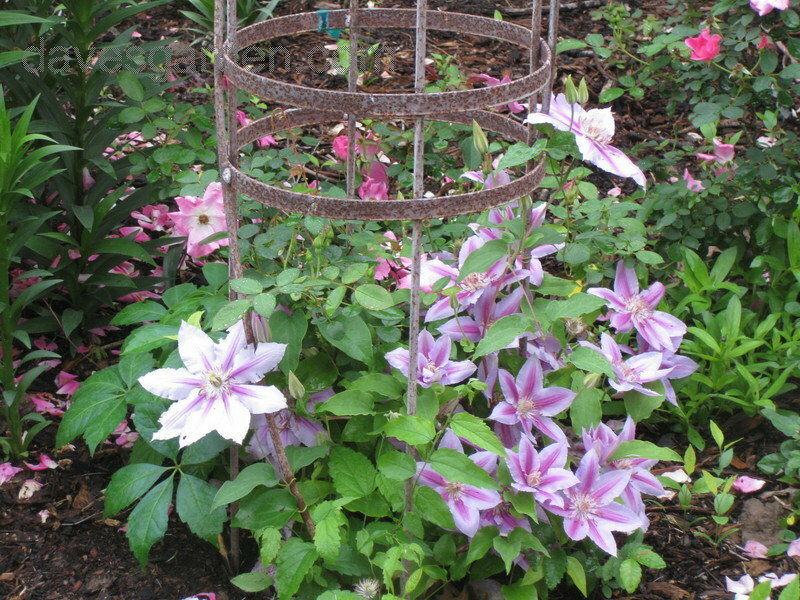 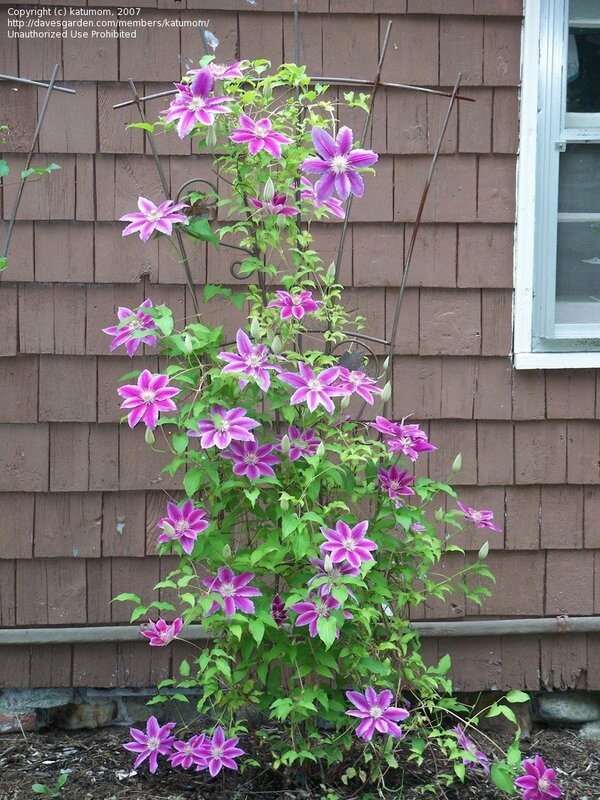 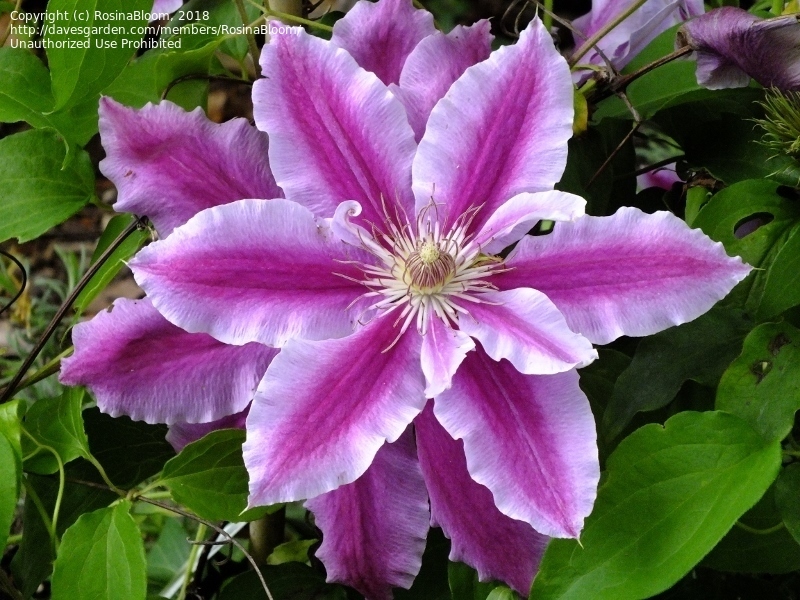 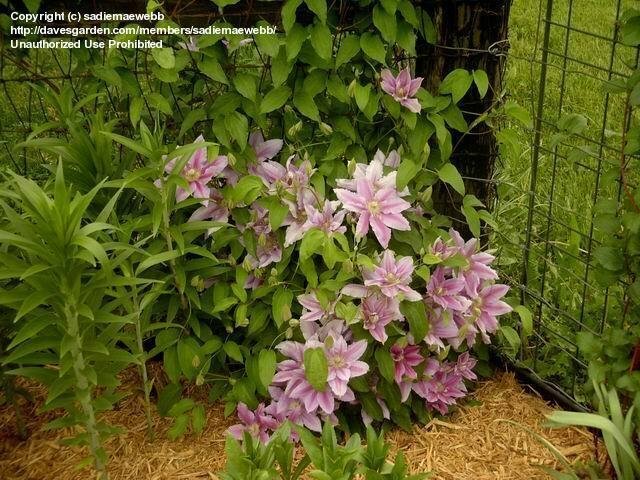 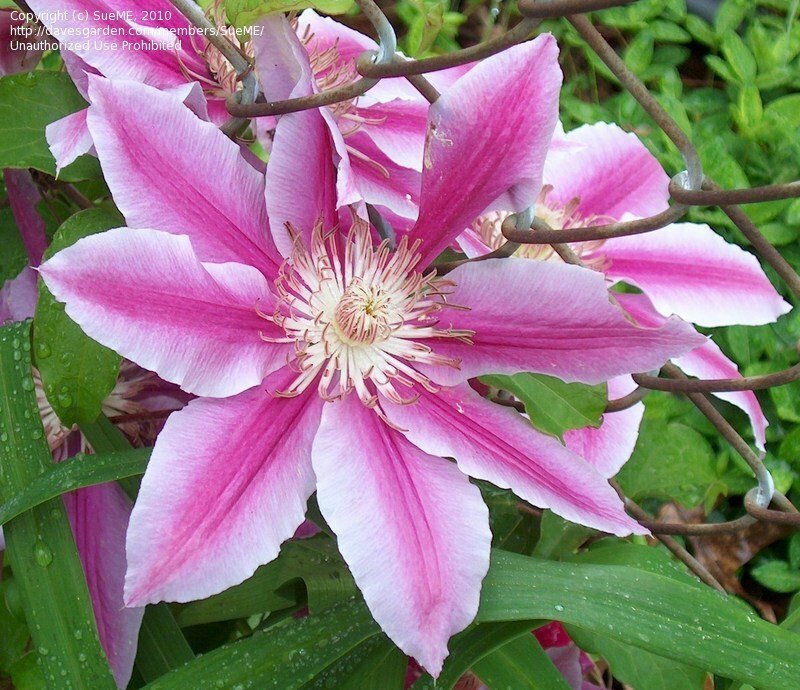 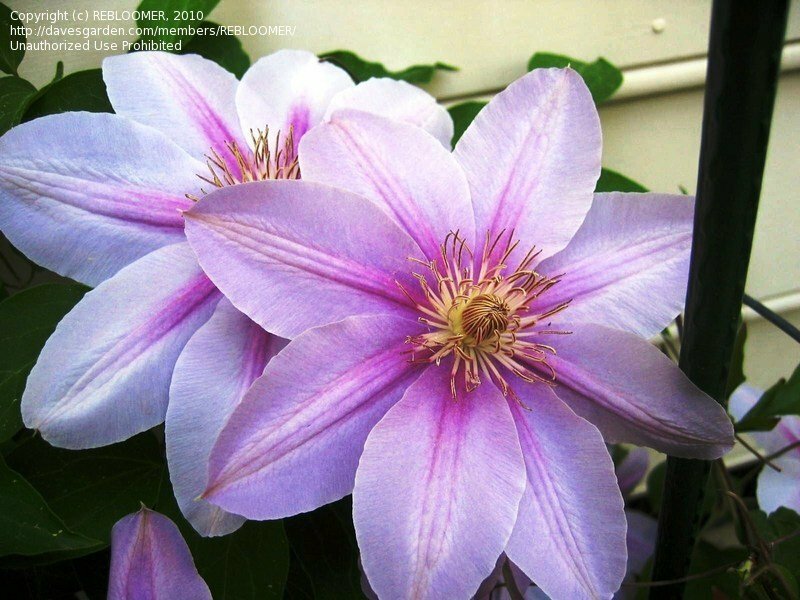 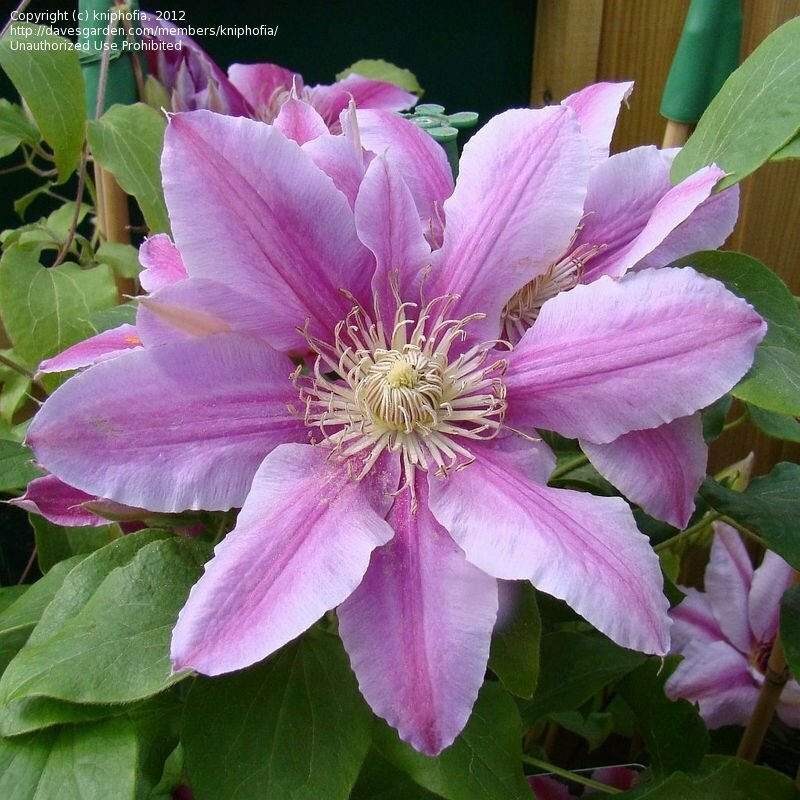 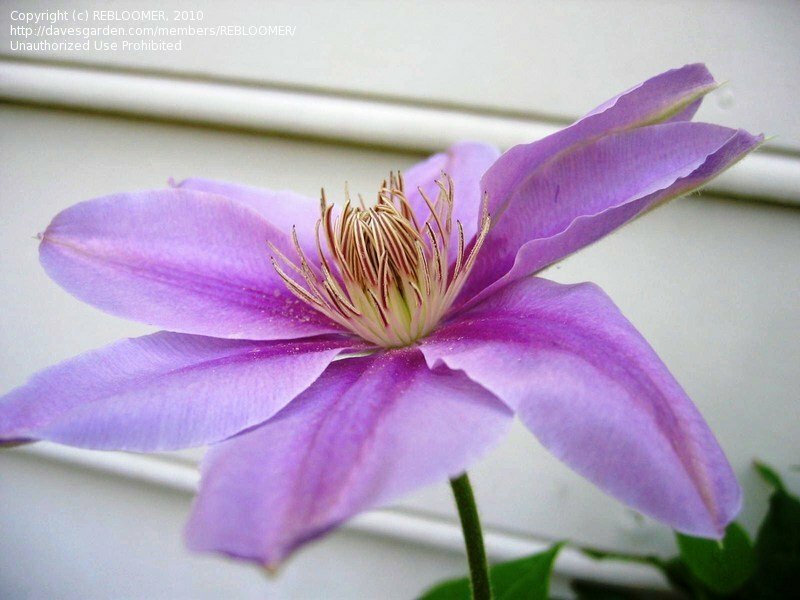 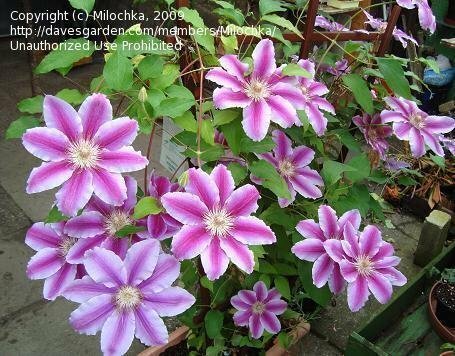 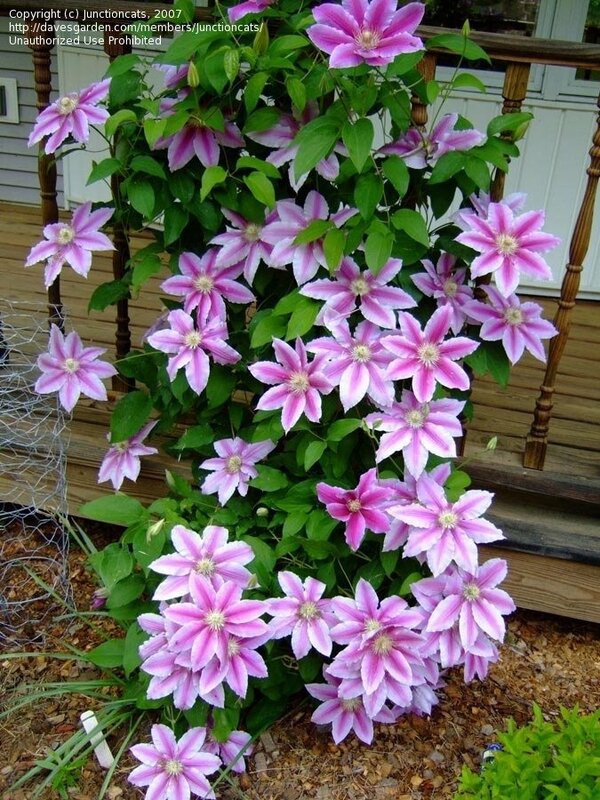 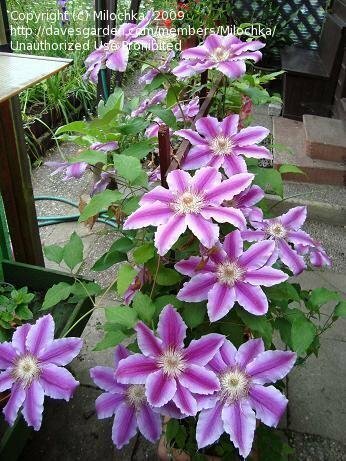 This is the first year this clematis has bloomed and it is just covered in blooms if you want a focal point in a garden this would be a good choice. 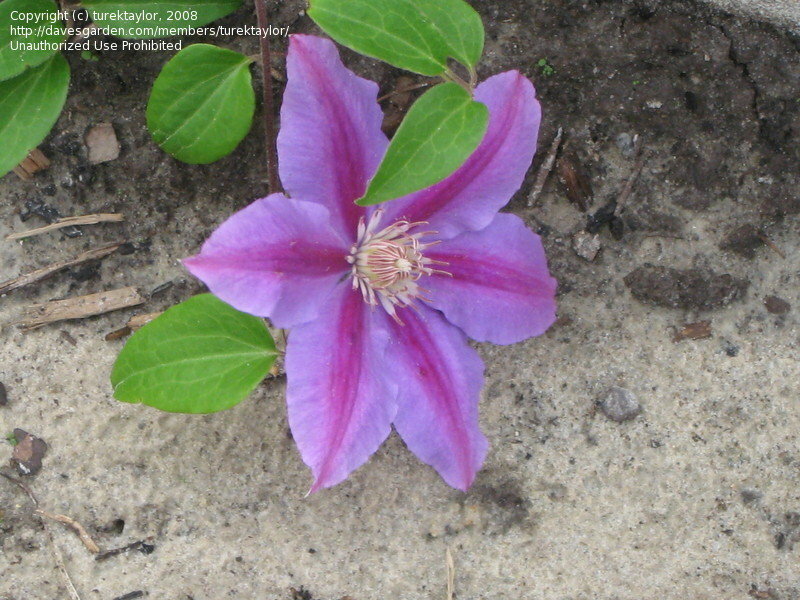 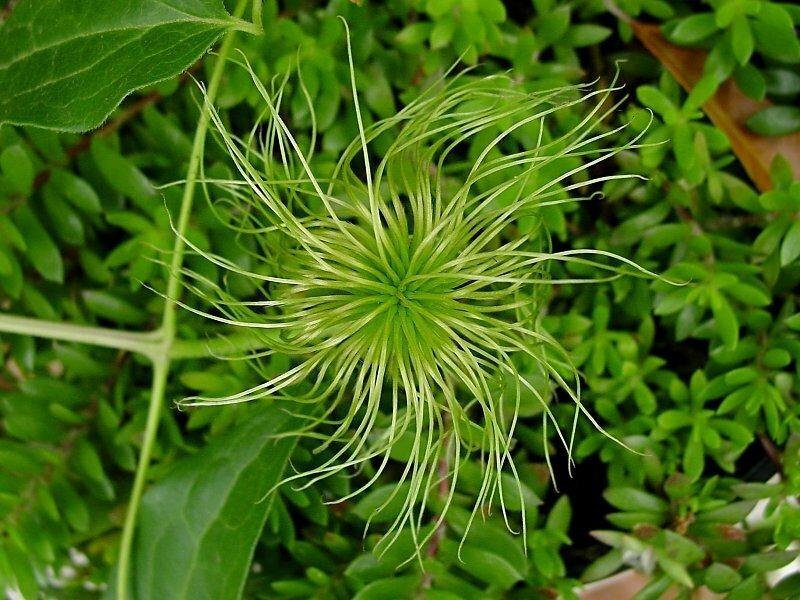 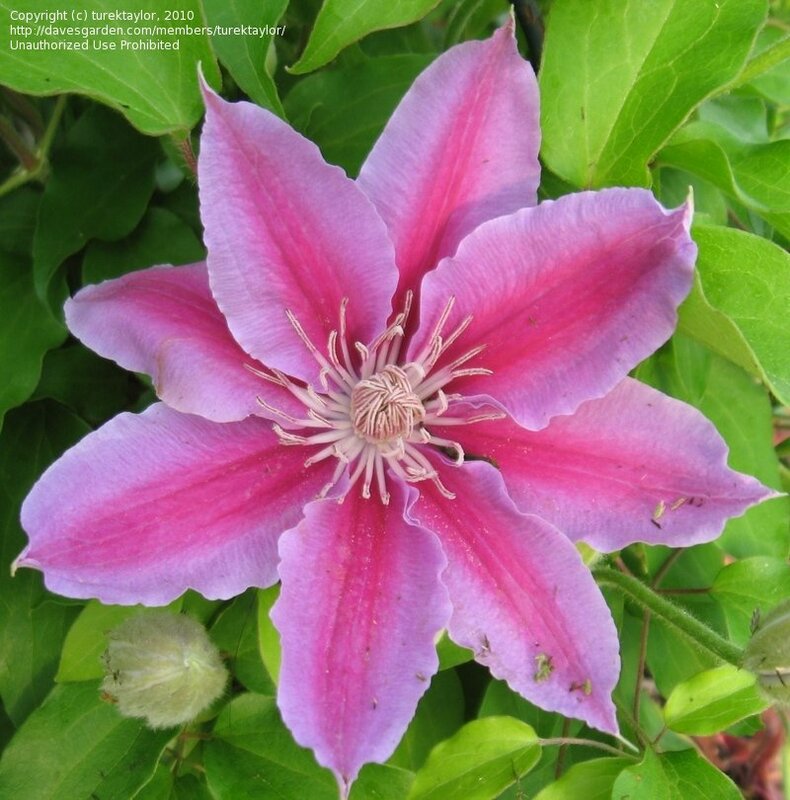 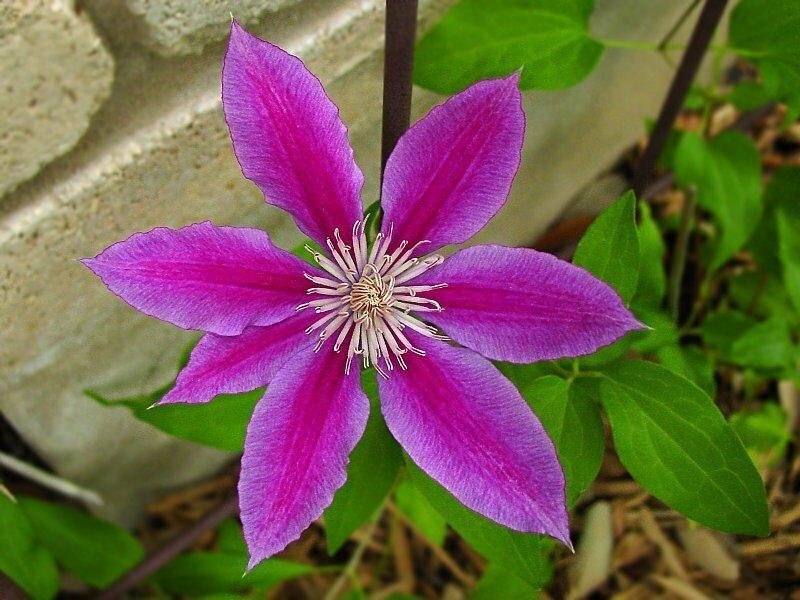 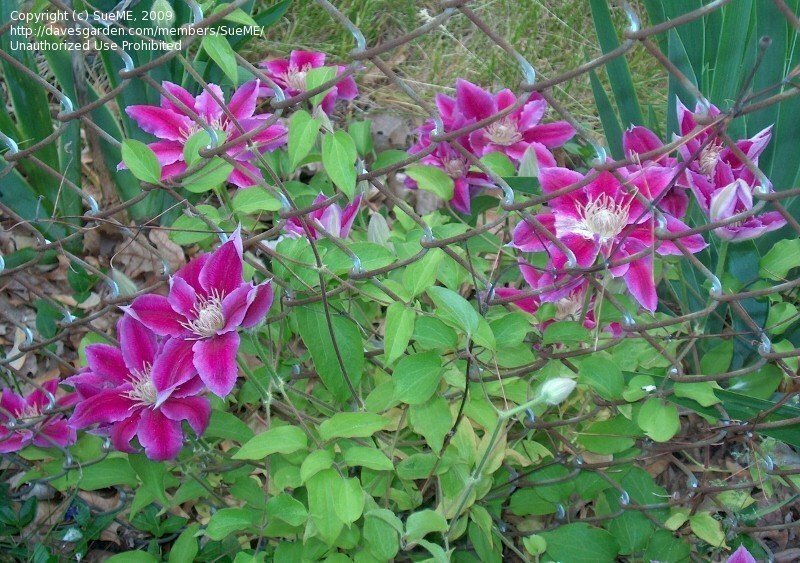 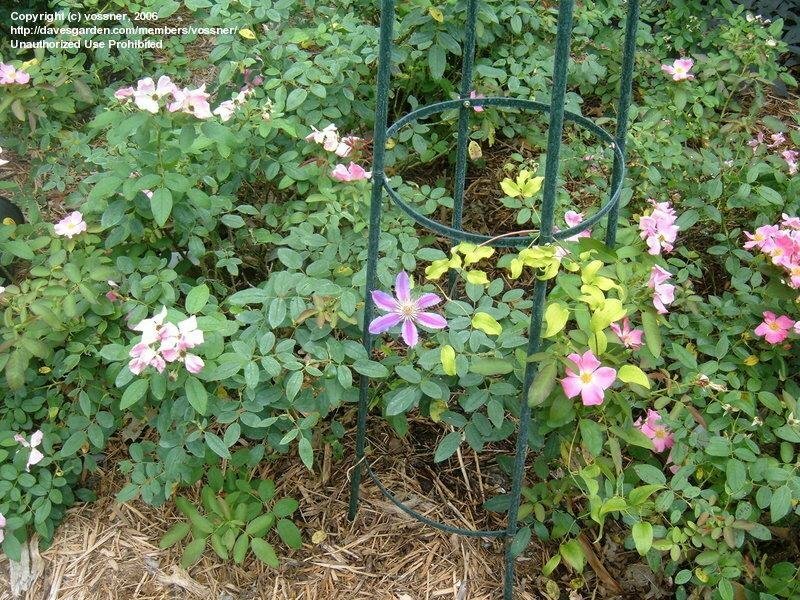 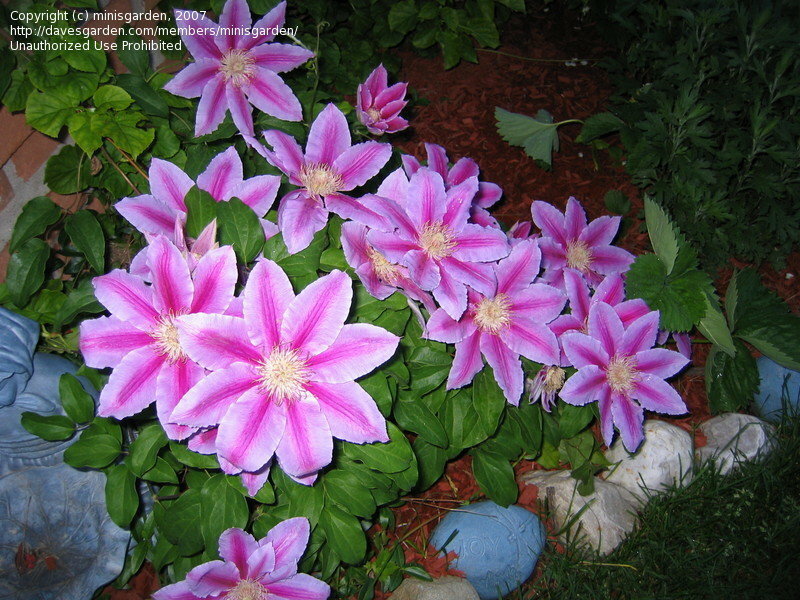 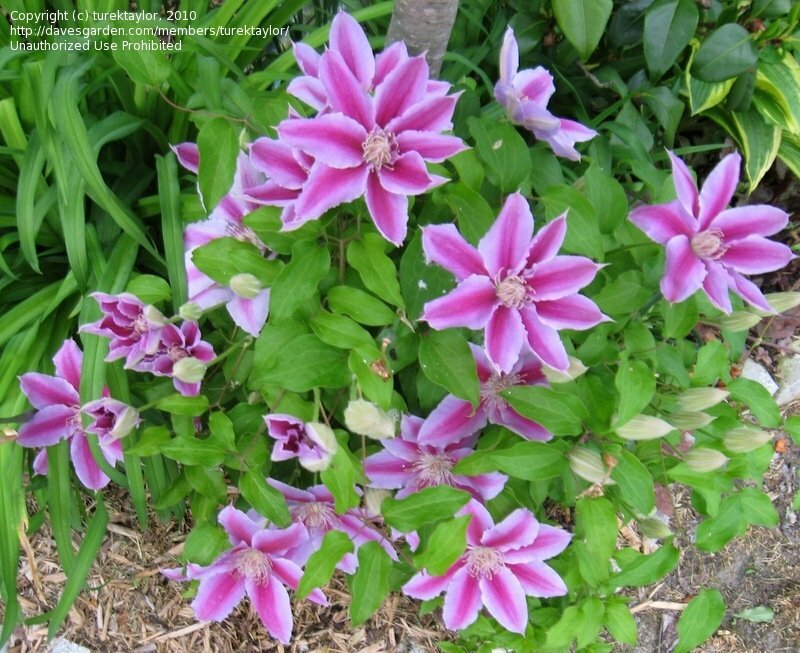 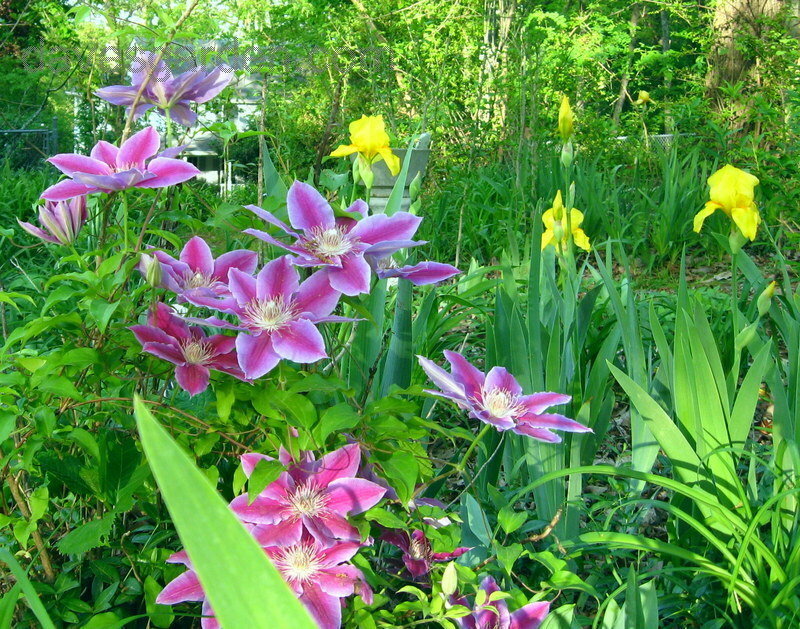 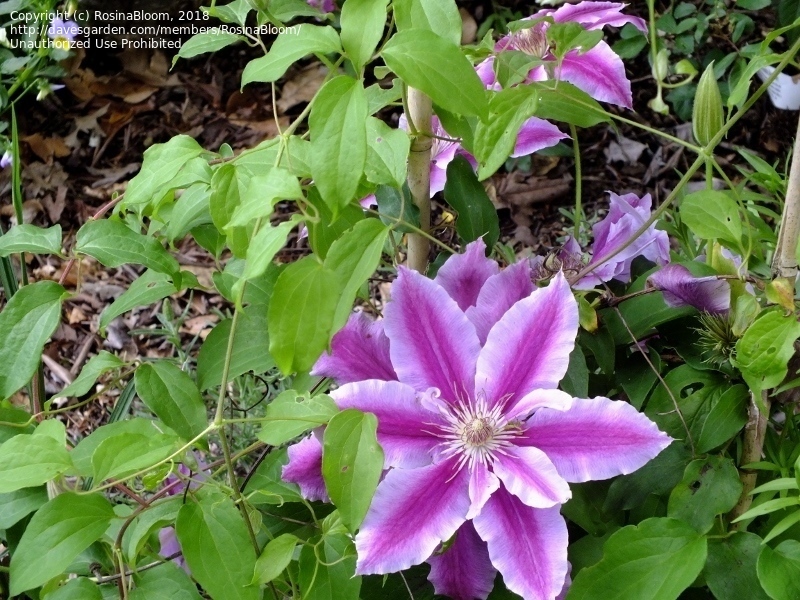 Dr. Ruppel clematis in NE Ohio zone 5b. 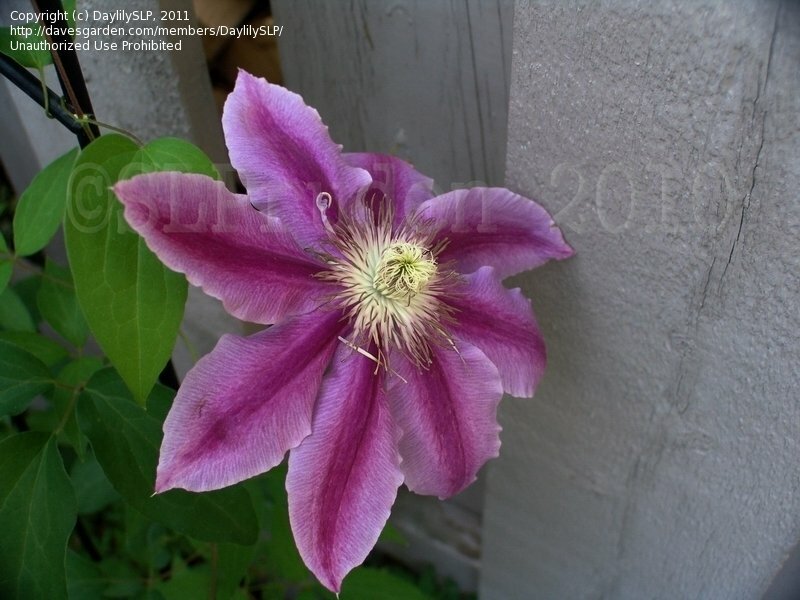 Second year growth, first bloom for the spring season 2010.